Online Shop – Sale on Original Products | Jumia Egypt. Decor your home with Jumia, as we offer you the biggest online selection of home decoration stuff with the best market price. First of all, you should decide which décor style suits your home or apartment so you can shop the right stuff. You can go casual, modern, classic, or whatever you want and like for your home. Also, you should determine the colors and materials that you will use to décor your home. Complete your home décor with Jumia, the biggest home decoration online mall in Egypt. We offer you the best out of any type of home decoration whether it’s a classic or modern decor. You can find wooden tableaus, art tableaus, even some metal stuff to décor your home with your choice. Don’t worry about prices, we provide you with the high-material stuff with the best online market price. Also, you will find all home décor sizes material that you are looking for. Shop with confidence from Jumia the best online platform for online shopping. Discover our collection of home décor items, this wide collection of items will give you so many ideas to decorate the house. You can find decorative pillows, wall clocks, Islamic decoration like Islamic tableaus etc. Moreover, you can buy a decorative vase that will make your salon décor much better. 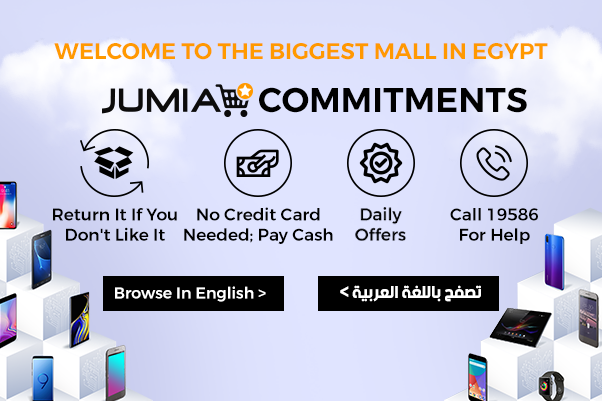 Enjoy the best online shopping experience in Egypt with Jumia, as we promise our beloved customer with easy steps, fast delivery, authentic products, and door to door delivery. Jumia Egypt is the biggest online home décor shop in town.